Alpine, one of Arbor Hospice’s beloved therapy dogs, officially retired this past December after six years of dedicated service. The nonprofit will honor the comfort and love she shared with patients at a retirement party to be held from 1 to 3 p.m. on Saturday, Feb. 3 at 2366 Oak Valley Dr in Ann Arbor. Light refreshments will be served. An RSVP is required at AlpineRetires@arborhospice.org. The party will include a number of events centered on Alpine, including a photo booth, a guest book and audio recording area where guests can share their favorite Alpine memories, a “Pin the Tail on Alpine” game and a “Bone Voyage” wall, where guests can leave a message for their favorite furry hospice worker. Guests are welcome to arrive with their favorite photos and stories of Alpine. The celebration also marks the retirement of Alpine’s host mom, Susan Cares, who is leaving alongside her four-footed friend after 11 years as an Arbor admissions nurse. 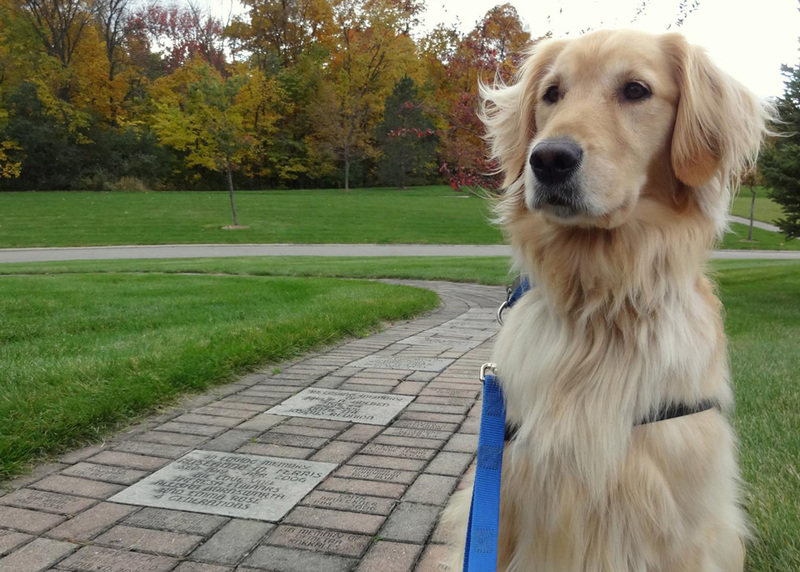 Although Alpine has left some big paw prints to fill, her colleague Leon – who worked alongside Alpine for more than four years – is stepping in to make sure that the Arbor Hospice community will continue to receive the special brand of comfort only pets can provide. Alpine’s retirement comes at a significant time for the complementary therapies program at Arbor Hospice, as the organization looks to grow its pet therapy service. Moving forward, the nonprofit is looking for pet volunteers – preferably certified pet therapy animals – to perform pet visits and take some of the load off of Leon. To volunteer, pets must be at least one year old and current on all annual shots. If you and a furry friend are interested in volunteering, please visit www.arborhospice.org and click on “volunteer,” or email Alana Knoppow at aknoppow@arborhospice.org. To RSVP for the party, please visit AlpineRetires@arborhospice.org.